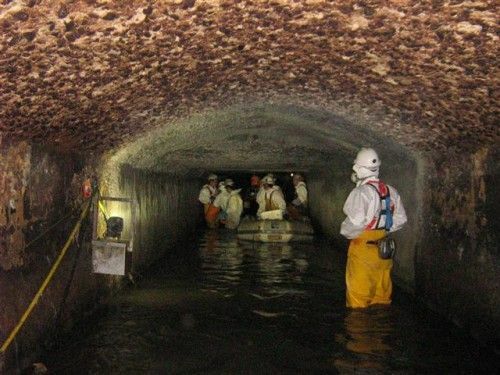 Metrocorp has provided confined space management expertise to Sydney Water and other important clients since 1989. Out teams are able to assess any confined space and provide a safe entry solution that will meet all legal requirements. Entry into a confined space is a potentially dangerous activity which requires a high level of specialist training and on the job experience in order for risks to be assessed and controlled. Our team has designed entry systems for all types of confined spaces including manholes, pits, wet wells, tanks, stormwater tunnels, sewer tunnels, pipelines and access shafts. All work crews are trained to the highest standards for confined space entry and our safety plans and procedures all meet third party certification requirements.